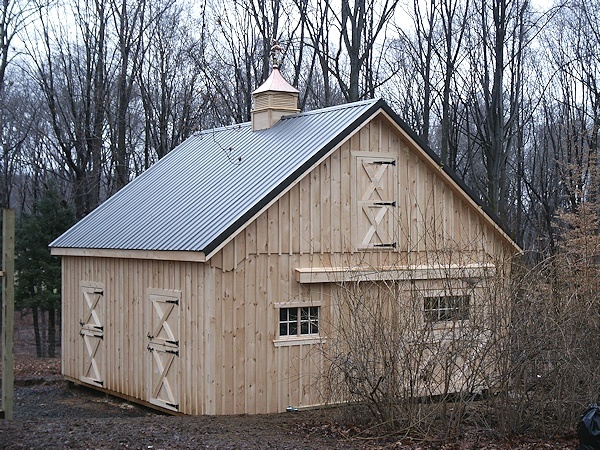 DESCRIPTION: This plan is for 24'x24' stable with 10' high walls, 10/12 roof pitch, (2) 12'x12' stalls, full loft, Pine board & batten siding and metal roof. 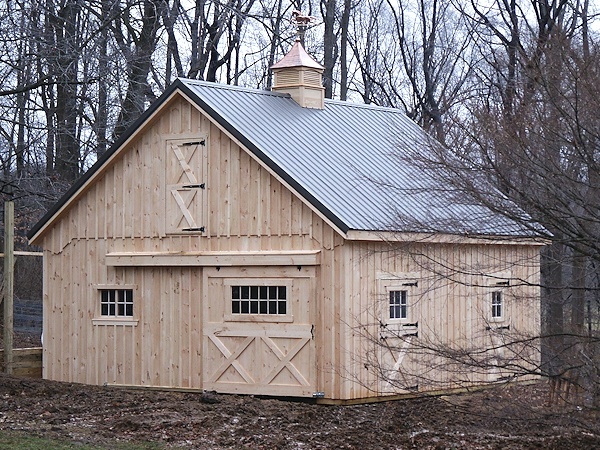 Barn has (1) 8.5'x8.5' single wooden slider, (3) 4'x7' Dutch doors, (1) optional 3'x7' entry door, (1) 3'x7' hay loft door and (3) windows. 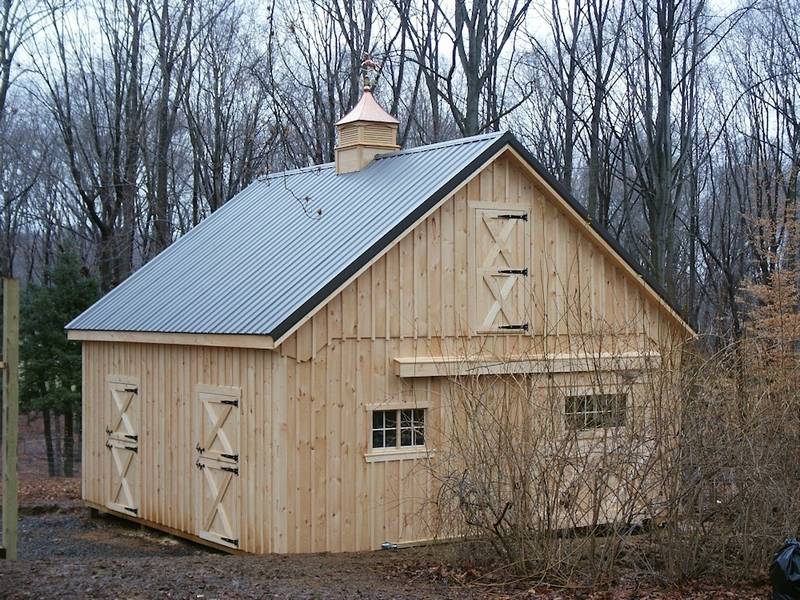 To give you an idea, barn like this, completely built on site would cost around 28K (including materials and labor). Price excludes site preparation, finished floor, electric, plumbing & gutters. Of course, this is just a rough price number. Final price will depend on materials availability & actual cost of labor. 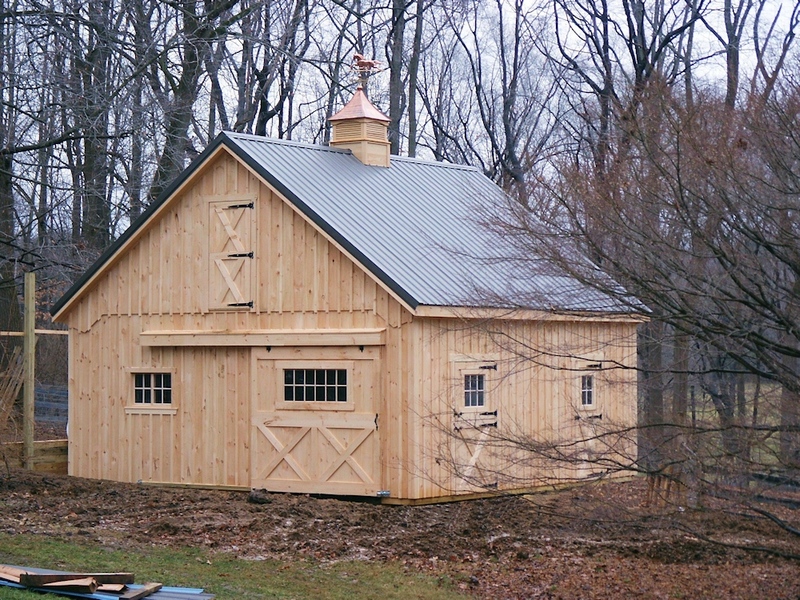 This barn was built in Pennsylvania for $26,500 with all options shown.